This spring, get your garden flowering beautifully with the right garden hose. 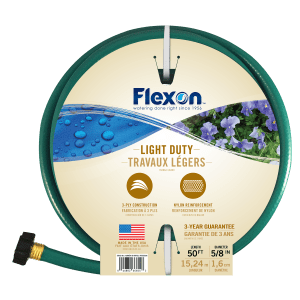 Flexon has a variety of garden hoses to start the season right and last for years. 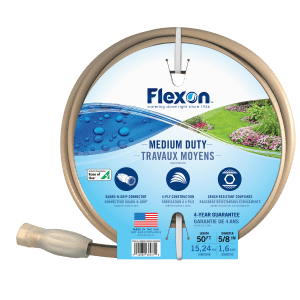 Explore Flexon’s gardening supplies! 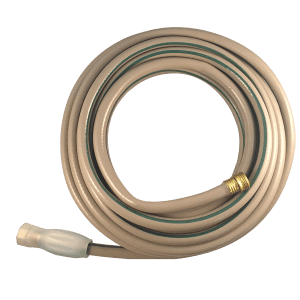 Best used for everyday gardening and lawn care, our lightweight hoses are a great value and perfect for people who might have difficulty handling and maneuvering heavier hoses. Nylon reinforced and weather resistant vinyl coverings provide easy handling, year-round. 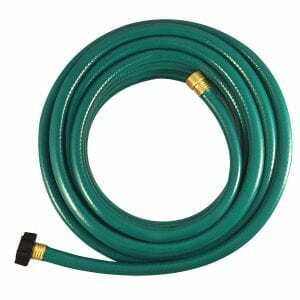 These hoses offer easy-to-connect couplings, which make it simple to securely connect and remove from any outdoor faucet or spigot.